Haynes single shower screens are minimalistic, 10mm thick safety glass panels secured into channel. Single screens maintain space inside the shower and reduce the amount of glass needed. There is less of an emphasis on the 'functional' aspects of a hinged shower enclosure and more of an emphasis on stylish simplicity. 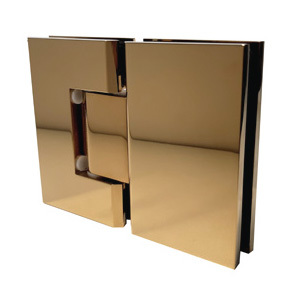 With our chrome, black or gold channel and intelligent use of lighting, a glass screen divider can be an excellent contemporary feature adding to your bathrooms value. Additional options include grouting into the tiles for a channel free look. 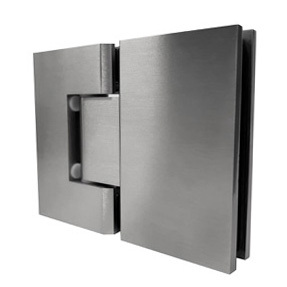 A premium double action hinge enables the door to swing both inwards or outwards depending on the surrounds and ease of access. 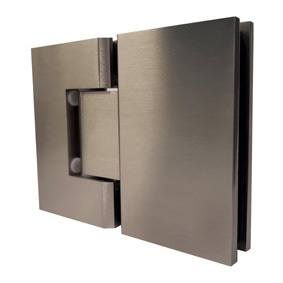 The hinge is designed so that when closed, the glass locks into place flush with side panels. The inclusion of a door makes for a cozier shower experience and is most effective in catching water. 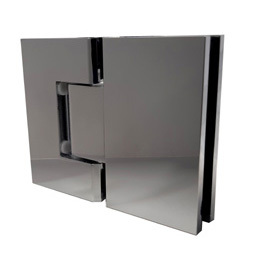 The latest in frameless showers, our sliding door showers are classy, modern and very practical. There are no hinged doors to invade bathroom space and no open gaps to let the water out. This style is constructed with a single 10mm safety glass door suspended from a larger side panel on circular runners and a bar. 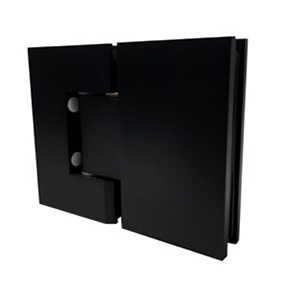 The door slides smoothly across the opening on the high quality flat bar. A sliding shower eliminates the 'eye-level' hinges and without the glass door swinging into the room, access is extremely simple. 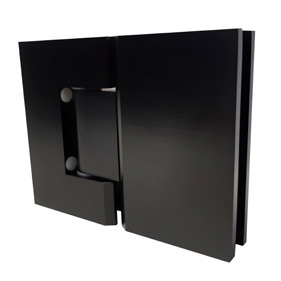 There is a minimum 1200mm width we recommend to accommodate the sliding and fixed panels and have a fair sized opening. We offer an optional specially formulated coating system for optimum glass protection. In an EverClear Coated shower, the water rolls down the glass, as opposed to streaking and leaving behind grime and limescale. 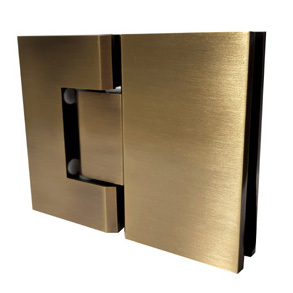 Our channel, hinges and standard handle styles are available in a range of different finishes. This enables us to get a fairly close match to your shower heads and tapware. We strongly suggest viewing the samples in person when attempting to match something precisely. * Estimated lead time based on supplier deliveries and bathroom tiling being fully complete. Contact us for either a quote over the phone, a quote via email (provide us with the dimensions or send plans), or arrange to meet a consultant on site. If you have a more complicated bathroom layout or a number of technical questions it is highly advised to meet with a consultant. On acceptance of a quote we will conduct a final measure. Glass is then cut to the accurate measurements, edges polished and the glass is toughened for safety. 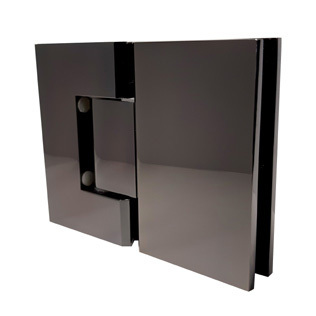 Our glaziers then call you to make an initial visit to install the channel and a side panel (if there is a hinged door). In a subsequent visit (typically in the following day or two) we line up and install remaining panels, hang the door and attach any additional shelves or overpanels. Some jobs (such as single screens) can be installed in one visit. What preparations do I need to make before a frameless shower can be installed? In the majority of cases the bathroom should be waterproofed and you should have your tiles laid before the final measure. However sometimes we can lay channel directly to the waterproofing and you can tile around it for a more discrete look. This process takes a little extra in planning, but can achieve a nice result. Do you have and special treatments or coatings to protect the glass? Yes, we offer a Haynes Everclear solution for water protection. This can be applied by Haynes in the factory or on site and bottles are available for purchase. Shower panels can be made floor to ceiling and the only real limiting factor on maximum glass size tends to be whether the glass can physically fit in the door and be maneuvered into place. Some larger panels require additional bracing for rigidity. This is usually achieved through the use of shelves or overpanels. Which type of glass do you use? We use 10mm thick toughened safety glass in either ultra clear or ordinary 'tint'. Both types are clear glass but ultra clear is manufactured to be low in iron, which takes away that mild green tinge making it even less visible and more 'frameless'. Can you supply only or deliver? If you provide us with the measurements we can provide the glass and hardware. We do recommend installation by an experienced installer however. We take all care but no responsibility with regards to the supplied pannels fitting and shower functionality. We will offer advice on measuring. We provide a 5 year warranty on glass and hardware and a 10 year guarantee on workmanship. Just want to congratulate the team on a professional job. It's all about the finish and you guys delivered an excellent product. Thank you for always being responsive to my e-mails as many trades people these days let the customer down. You excelled in all areas with a challenging job.